Your home is one of the most important investments in your life. This isn’t just a financial investment; it is also an investment in your comfort and well-being. So why not make sure your property fits your specific needs and wants? That is what the team at Flooring America wants to help you accomplish with a home improvement in Great Falls, MT. At our showroom, we believe that enhancing your home starts from the ground up. That is why we provide extensive home improvement services, including a focus on home design and dimensions, to each and every one of our participating clients. Whether you are looking through our beautiful selection of new floors, including hard and soft surfaces, or speaking to one of our home improvement contractors about specific updates you want to make, our store can do it all for you. Come and visit our highly recommended local business to receive expert advice on how you can make your home the very best it can be. We have enough colors, styles, texture, patterns, and upgrades available for you to choose to fit any decorative taste. Furthermore, our floors are all made to last, which means you can feel confident in the upgrades and improvements you are making with us. Whether your project is big or small, our talented team of skilled sales staff, designers, and contractors are ready to assist you with each and every aspect of it. We recommend that you go ahead and take a look through our extensive online catalog to find inspiration for your home before enlisting our design team to help you through a free consultation. We are very helpful when it comes to guiding you through the home design and dimension measuring process, which enables you to better understand what your improvements and upgrades will look like as well as cost. You can even download our free app to your tablet so you can “try before you buy” by looking to see how different floors, fixtures, and colors would look in your home. Have you narrowed down your choices or made a decision on what type of upgrades you want to make to your property? Perfect! Then our home improvement contractor can set you up with professional installation services to ensure that everything from your floors to your faucets is placed properly. Remember, proper installation is just as important to the success of your home improvements as picking out the right additions. 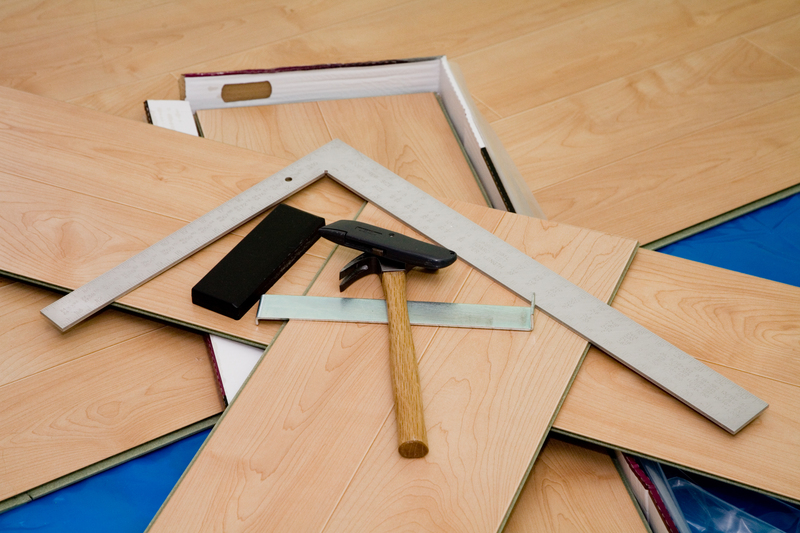 We back all of our installation work with warranties and guarantees on 4-Star and 5-Star rated new floors. We also make financing options available to clients who qualify to make it even easier for you to make the home improvements you want to make when you want to make them. Everyone deserves lasting floors and fixtures, and at our showroom, everybody can easily have them. Have your preferences changed since moving into your home? Are you ready to give multiple rooms an updated and fresh look? Maybe you are looking to get the best bang for your buck when you move? Then take advantage of the helpful services provided by our showroom. We know how to find and install the perfect flooring and fixtures to deliver the results you desire, no matter what your current situation looks like. Having professionals handle your home improvement services is one of the most worthwhile investments you can make in regard to your home. Hiring an amateur with no experience may seem like a smart move money-wise at first, but it is almost guaranteed to cost you later. Amateur work comes with many errors that can end up diminishing the value of your improvements. An installation from our professionals now means few or no repairs later. Contact us for flooring expertise you can’t find elsewhere. We sell and install floors for the homeowners of Great Falls, Black Eagle, Vaughn, and Fort Shaw, Montana, and the nearby neighborhoods.